The new football stadium in Craiova has received more than its fair share of criticism already. Partly because it was supposed to be ready last year and to date still hasn't got a solid opening date. The most likely one is October 28, when Universitatea is playing against Steaua. However, part of the public outcry is caused by sensationalist journalism which speaks more of the journalists' lack of knowledge than of actual issues with the stadium. 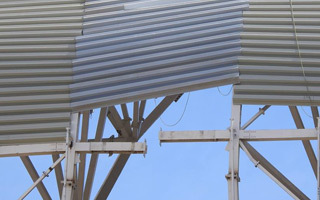 For example, it's been publicised as a scandal that the dome's height was lowered after tests in a wind tunnel that showed it could be torn by strong winds. But the tests were ran before construction and are a normal part of the design process. We haven't covered the issues here because the most sensational claims had very little merit, even if some of the criticism was well pointed. However, in recent days the construction crews gave journalists just the argument they needed to increase criticism. 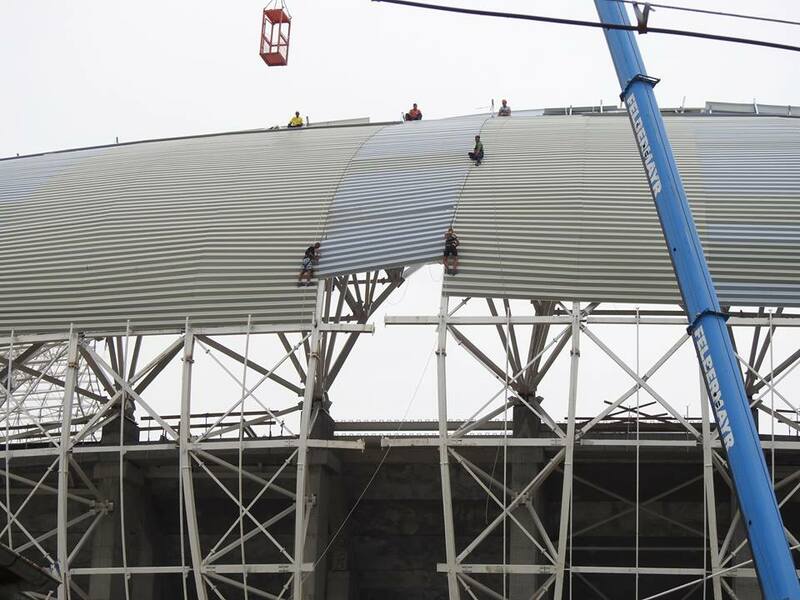 It turned out the stadium's dome, which consists of four independently built quarters, could not be completed on the north side. The north-western part is 25-30cm (10-12 inches) taller than the north-eastern piece. The entire issue surfaced thanks to a blogger from Craiova, who witnessed construction workers desperately trying to make the two segments fit. After his videos (above and below) media nationwide again criticised the stadium, this time entirely deservedly. After all, it's a 30,000-seater worth well over €52 million and such discrepancies are simply unacceptable. What's next? Today's video from the blogger gives some light on the issue. 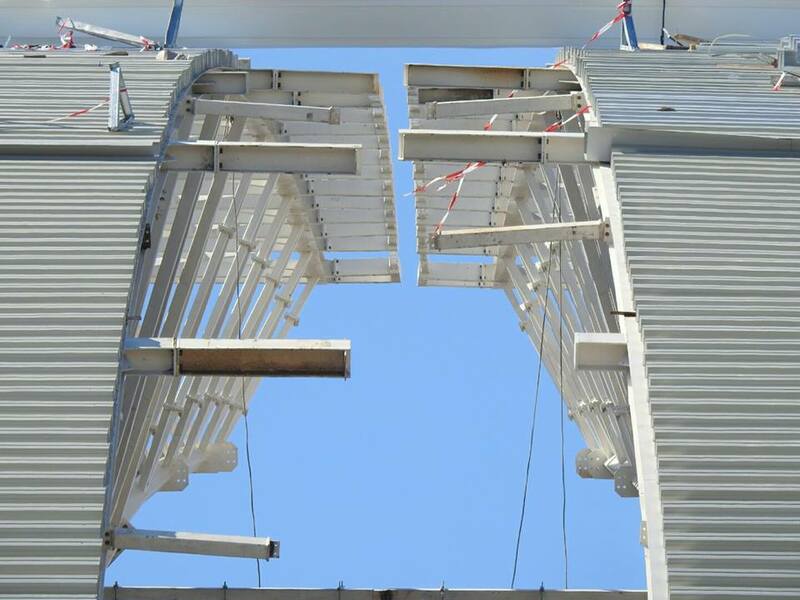 The mismatched elements of both primary steel structure and trapezoidal metal sheet cladding have been removed and new elements, cut to exact dimensions, will be installed. Whether this could affect the roof's stability is unclear as of now.